" The U.S. Department of Energy today announced that Philips Lighting North America has won the 60-watt replacement bulb category of the Bright Tomorrow Lighting Prize (L Prize) competition. The Department of Energy’s L Prize challenged the lighting industry to develop high performance, energy-saving replacements for conventional light bulbs that will save American consumers and businesses money. If every 60-watt incandescent bulb in the U.S. was replaced with the 10-watt L Prize winner, the nation would save about 35 terawatt-hours of electricity or $3.9 billion in one year and avoid 20 million metric tons of carbon emissions. 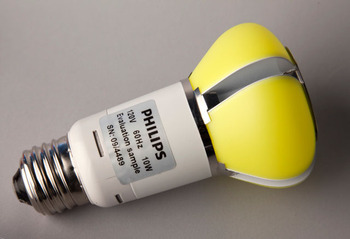 Submitted in 2009, the Philips LED bulb successfully completed 18 months of demanding field, lab, and product testing to meet the rigorous requirements of the L Prize competition ? ensuring that performance, quality, lifetime, cost, and availability meet expectations for widespread adoption and mass manufacturing. The winning Philips product excelled through rigorous short-term and long-term performance testing carried out by independent laboratories and field assessments conducted with utilities and other partners. The product also performed well through a series of stress tests, in which the product was subjected to extreme conditions such as high and low temperatures, humidity, vibration, high and low voltage, and various electrical waveform distortions. The Philips L Prize winning product was also required to have a useful lifetime of more than 25,000 hours, compared with 1,000 to 3,000 hours for the products these highly efficient bulbs are intended to replace. The product uses solid-state lighting technology, which utilizes light-emitting diodes (LEDs) instead of electrical filaments, plasma, or gas, and has the potential to use far less energy than other lighting technologies. As the winner, Philips will receive a $10 million cash prize as well as L Prize partner promotions and incentives. To date, 31 utilities and energy efficiency program partners stand ready to promote and develop markets for the winning product. 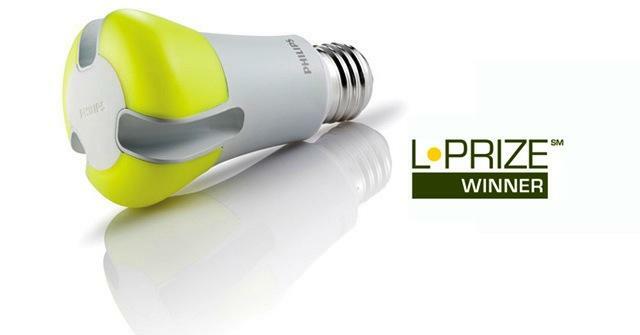 The L Prize-winning 60-watt equivalent LED bulb from Phillips could arrive in stores as soon as early 2012.